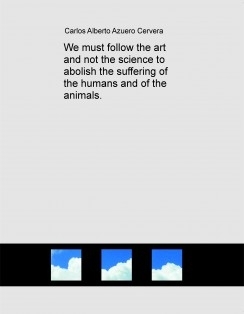 We must follow the art and not the science to abolish the suffering of the humans and of the animals. The science destroys us, the art sets us free. Through the art we can get closer to our extinction.